So when I received a wonderful package from Micro Scooters I was so excited to have a go that I didn’t bother sleeping after my night shift and headed out. 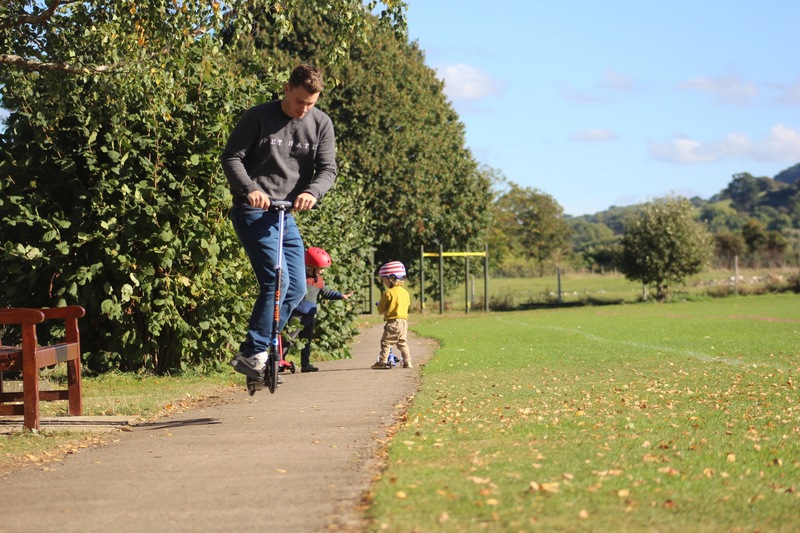 I don’t want you to think this is all about me being ‘down with the kids’ because I know I’m definitely not cool enough to be scooting but I was so surprised at how much fun it is! We are so terrible at doing any activity for very long. If we visit a zoo or attraction we whizz round and are finished within an hour EVERYTIME. Yet today we happily scooted around the park for two hours. 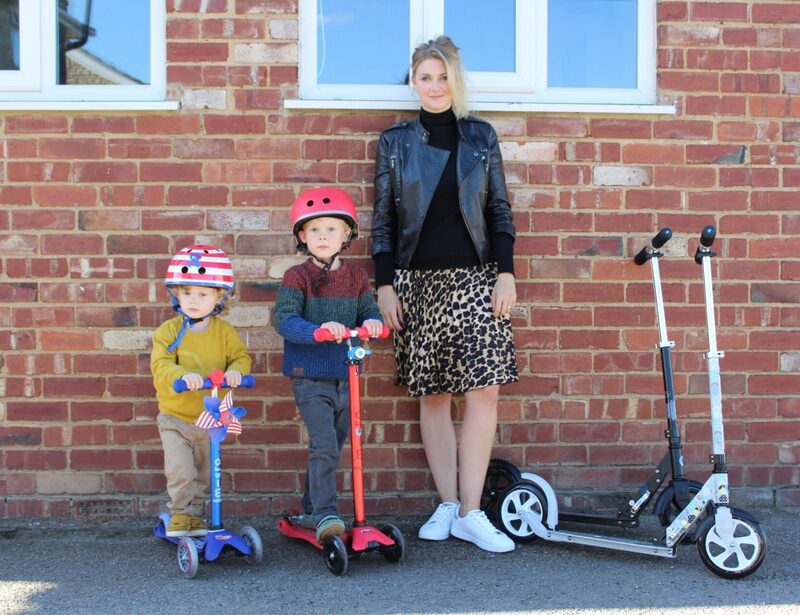 I asked Harbor if he liked his new scooter (mid glide) and he said ‘I do but I really love that we are all scooting together.’ It really made me think about the things I buy for my children. Quite often it encourages them to play without me and today felt so precious that we were actually doing something together. The boys had cute little extras on their bikes. Sonny had a little noise maker and a windmill which he absolutely loved and it was great to hear him coming! Harbor had a flashing light and a bell. Si obviously was trying to take scooting to the next level and was even talking about how we should visit the skate park. Don’t worry I talked him down with a raised eyebrow. 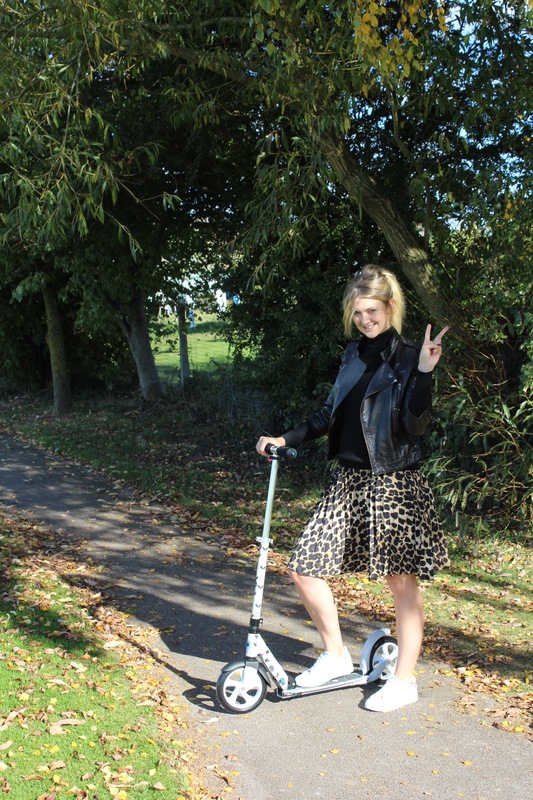 I never thought about having an adult scooter but actually it makes so much sense. Why have I been running after my boys as they flew down a hill when I could be flying with them? The school run drives me mad and I try to inject some fun into it wherever possible. (Take a look at my wagon review here.) 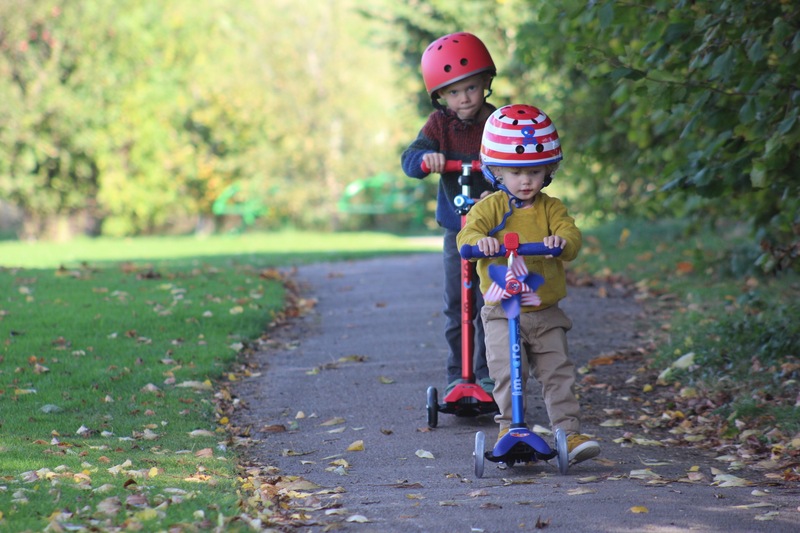 I will definitely be scooting to school once Sonny has mastered a left turn. So that’s another tick in my ‘play outdoors’ box. I’m planning on taking them to my mums tomorrow to get nanny to have a go. 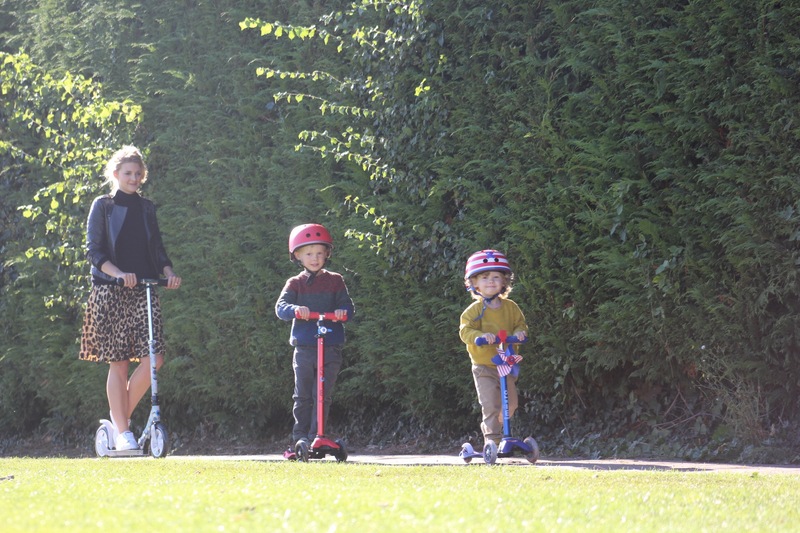 Although Harbor said ‘nanny can’t scoot she’s too old’ – Sorry mum! Hi, just wondering which scooter Harbor has, Rubens due an upgrade and he’s 5? Thank you, we are loving them!